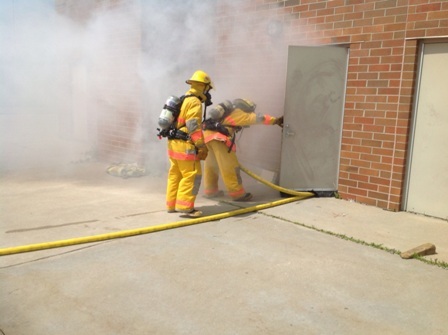 May 23, 2016 Fire Training at the B.T.F.D. 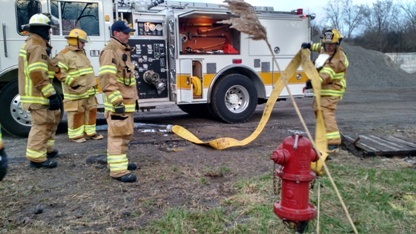 Annex, *Tenative* - 7:00 pm Start time. 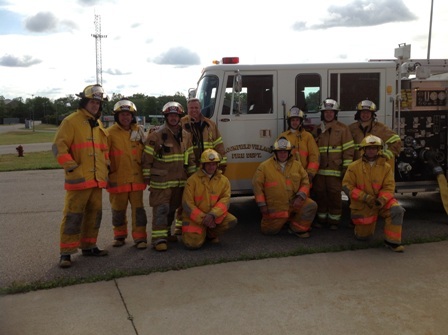 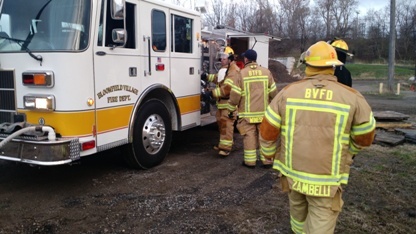 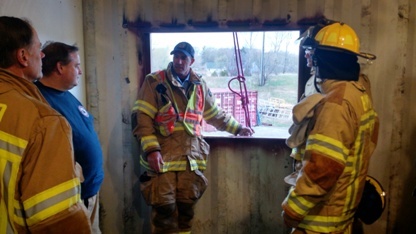 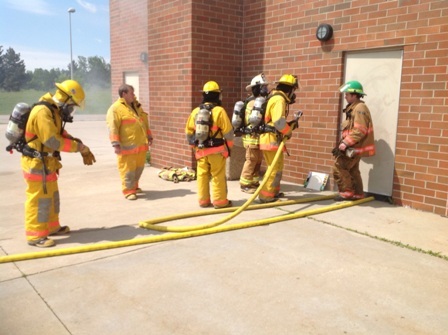 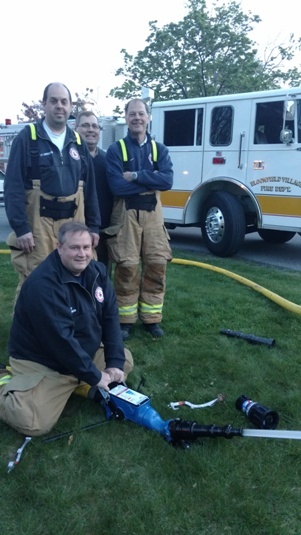 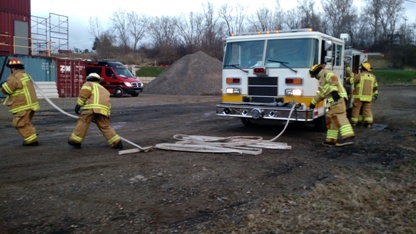 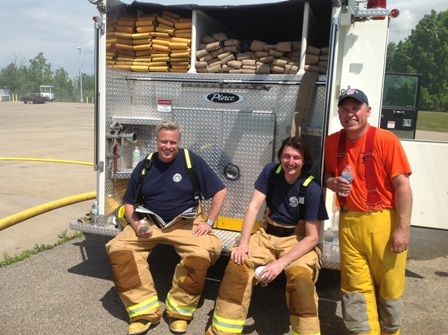 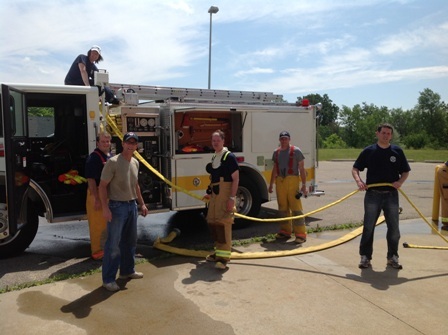 The Bloomfield Village Volunteer firefighters had an evening of pumping practice at the new Bloomfield Township Fire Department Training Center. 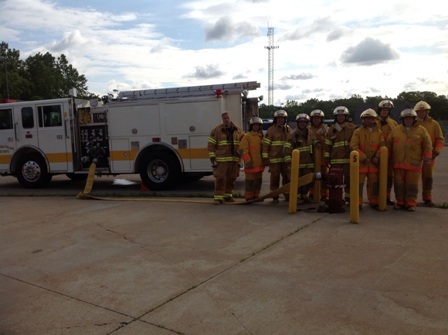 Fire suppression evolutions. 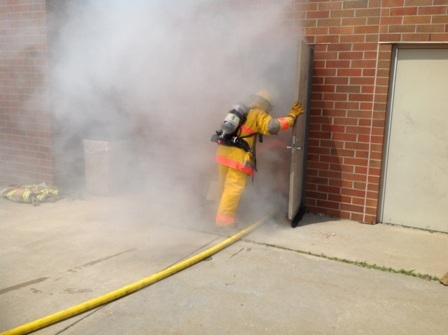 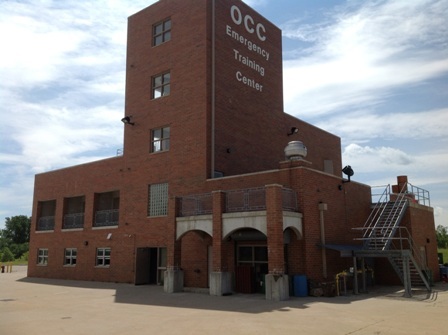 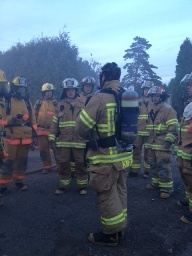 This is an abandoned building simulating fire scenarios. 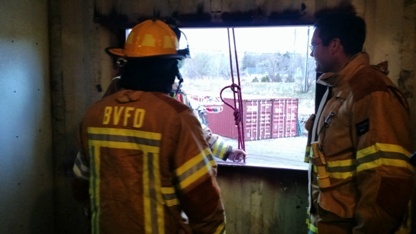 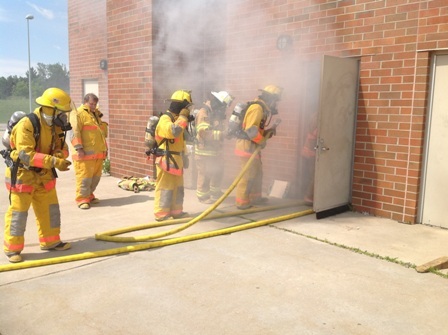 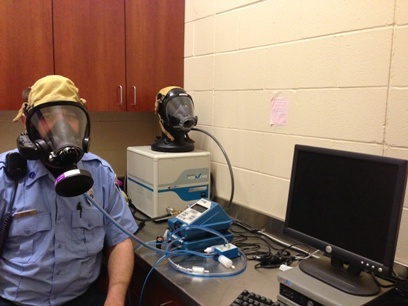 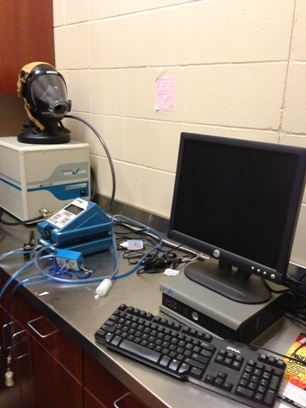 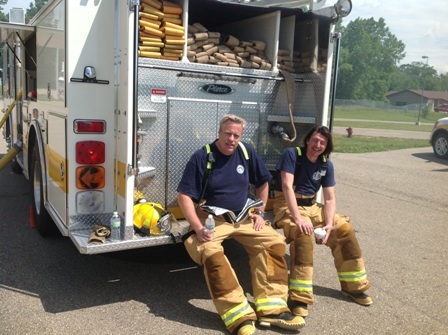 All Bloomfield Village Fire Department firefighters participated in the SCBA Mask Fit testing to validate that their masks sealed properly against any air leaking.